This blog is all about paladins, but with a special focus on getting hit in the face. Or tanking, if you prefer. I've played a paladin since I first bought WoW. After an initial period of cluelessness about the class and game mechanics (What are talent points? What's spirit for? Argh, I lost my body again! ), I discovered the holy tree and leveled to 60 by healing my husband's prot warrior. I hit 60 a couple months before Burning Crusade hit, and raided Molten Core as a healbot during that time. After BC, I raided for a short while as holy, then my world changed forever. I joined a random pickup group and found myself with a pally tank named Unhealable. "Oh, no," I thought. "Another paladin who thinks he can tank. This is going to hurt." But as we went through the dungeon, an amazing thing happened: he was actually good. He blazed through the instance using minimal crowd control, tanking wave after wave of mobs that I'd seen singlehandedly squashing warriors and druids. Nobody pulled aggro, nobody died, and healing was a breeze. I was in love. It took a few weeks to get up the courage to try tanking myself, and predictably, my first attempts were disastrous. I knew nothing about tank gear or theory, and I got quite a few nasty words from my healers. But I'm nothing if not persistent, and after a lot of research and a little practice, I shaped up into a pretty decent pally tank. I started going prot on weekends, and eventually won over my guild with the utility of a paladin tank. They let me go prot full-time, and I've never looked back. Well, there were those couple of months I raided as ret, but I try not to think about that. 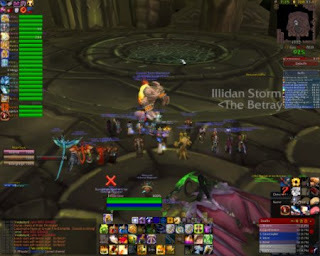 I'm currently raiding BT with a relatively new guild, and I'm confident we'll see Sunwell before the expansion hits. 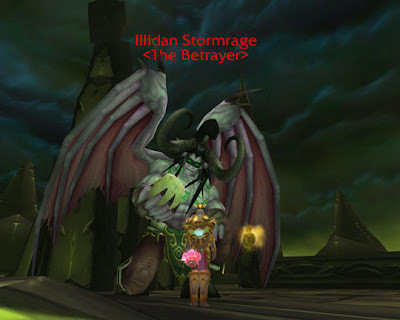 My posts here will be mainly based on my own experiences as a post-BC raid tank, but I'll be discussing non-raid tanking as well, because as much as it feel like it sometimes, raiding isn't the only thing I do in this game. Sheepbreaker isn't my name in-game, but I thought it was an appropriate name for a paladin tanking blog. Sometimes mages try to sheep stuff around me. I swear, that spell must make them magnetic or something, because my mace is uncontrollably drawn to those soft, fluffy critters.